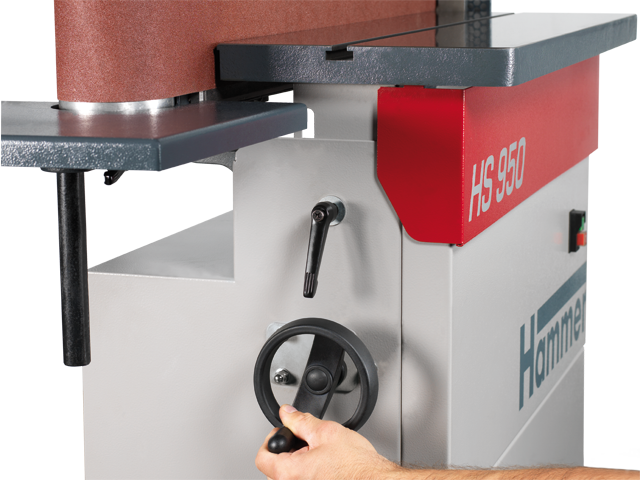 The Hammer HS 950 is the perfect entry-level machine for demanding edge sanding. The connectible sanding belt oscillation makes perfect use of the entire sanding belt surface. 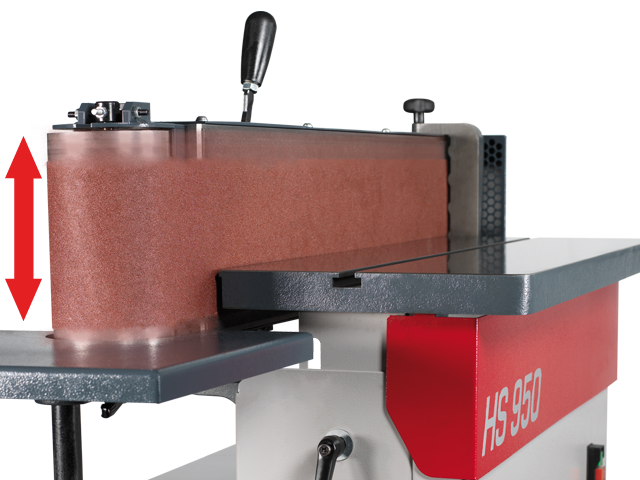 Together with the height-adjustable cast iron sanding table, the HS 950 achieves maximum sanding belt life. 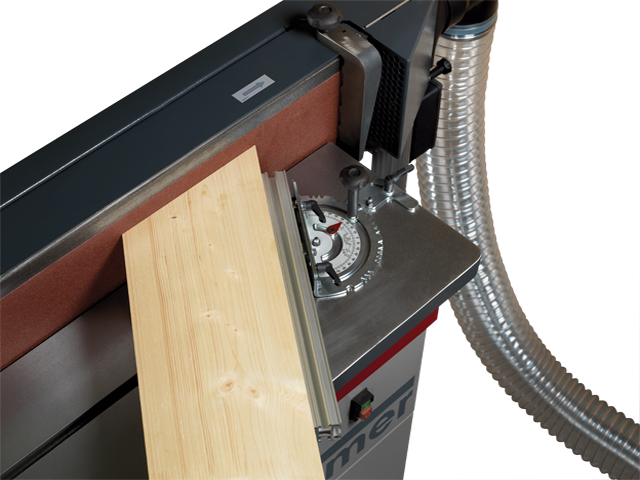 Guaranteed flexibility: The sanding unit can be tilted continuously to 90° and the open design allows easy sannding of long workpieces. With the oscillation to be switched on and off, an individual sanding pattern can be generated. 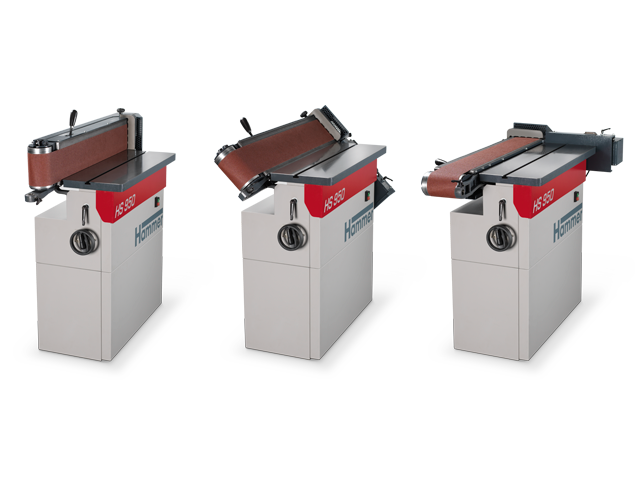 Together with the height-adjustable sanding table clean sanding results are ensured and the service life of the sanding paper is increased enormously. The sanding unit can be swivelled from 90 degree to table level to 0 degree to table level. There are preset end stops at the stop positions. The set angle can be read on the side swing scale and a grip facilitates the operation. 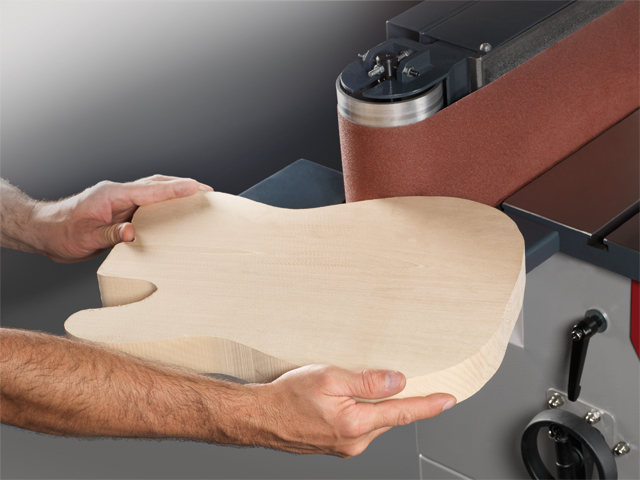 For oversized workpieces, the sanding surface can be easily increased. The open design allows easy access to the machine. The solid cast iron working table can be conveniently adjusted manually by 150 mm in height. Thus, the sanding belt can be used over the entire height. Together with the oscillation, maximum service life of the sanding belt can be achieved. The table has a T-slot over the entire length of the table. On the left side of the machine there is a supplementary table for sanding radii (> 60 mm). The table can also be adjusted in height. Standard features include a workpiece stop. In addition, the mitre fence (part no. 423-043) can also be mounted into the T-slot of the worktable. 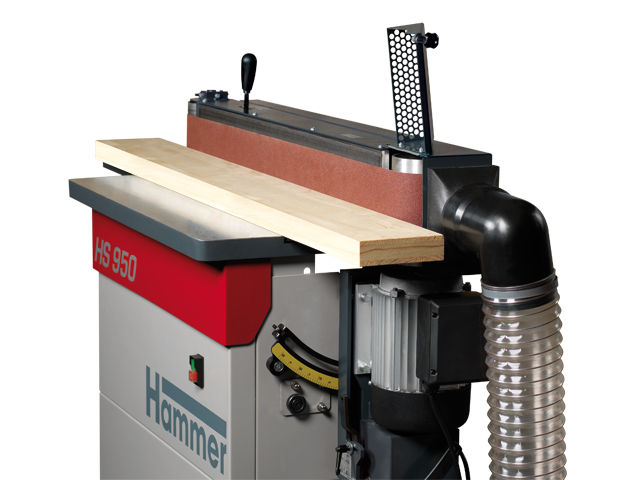 The Hammer HS 950 is the perfect entry-level machine for demanding edge sanding.